Oh yes.... I've made something else with my little crochet sea pennies... dainty bracelets! 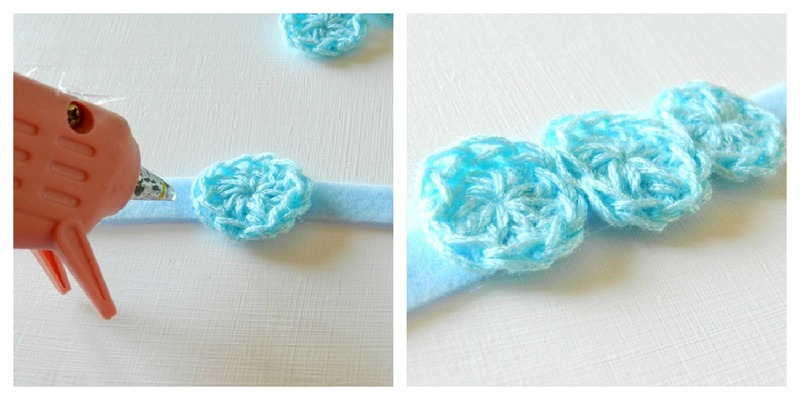 crochet sea pennies- make enough to cover all around your wrist. (I made mine out of a fine shiny yarn, so they look more delicate. )You can find my tutorial for them here. Step 1: Measure the circumference of your wrist. Add 1/2 to 3/4 inches to that length, depending on how tight you want your bracelet to be. Cut a piece of felt in these dimensions: 1/2 wide x Length your wrist circumference + 1/2 to 3/4 inch. My wrist is about 6 inches around so I cut my felt 1/2 inch wide and 6 3/4 inch long. The width can vary here depending on how thick you want your bracelet to be and how large your crochet sea pennies are. Step 2: Hot glue or sew snaps onto each end, making sure to get them on the right sides so they will close nicely around your wrist. Step 3: Arrange the sea pennies in desired order/pattern and hot glue them to the felt strip. Make sure to overlap the sea pennies a bit, unless you want gaps showing between them while wearing the bracelet. Strap your bracelet on and wear it proudly cuz, hey, it's not every day you wear crochet bracelet! 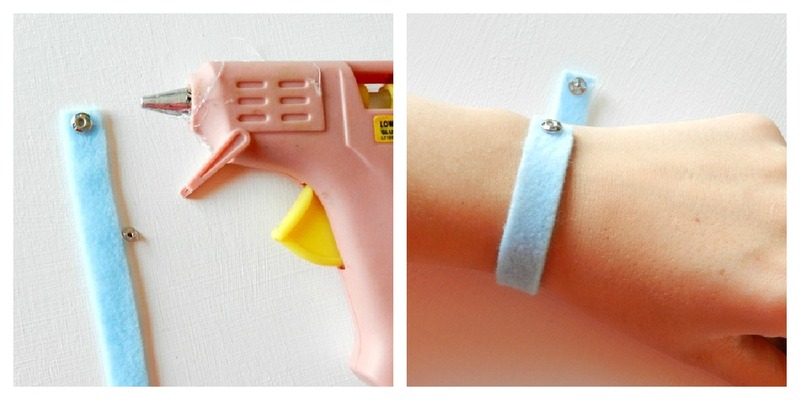 This makes an adorable bracelet! The bracelets ARE very cute and I was looking for something similar to this to make crocheted jewelry. Thanks for sharing this! Hi, Elise - that is absolutely beautiful! My first visit, you have a beautiful blog! Hi Elise, thanks for visiting Maddalee and commenting on our cute little monster! These bracelets are adorable. This is so, so cute! I love the color possibilities. It's been pinned. Thanks for the great idea. Have a wonderful day! I love this bracelet, it has such a sweet feminine touch and what a great idea for the sea pennies! So pretty! Love the colors! I'd love for you to link this up at my Make Something Monday party! Thanks for linking to Take-A-Look Tuesday over at www.SugarBeeCrafts.com - you were featured today! Got you from the Someday Crafts Link Party! Love this! Oh, that is really, really cute. Love the color too! I'm gonna have to pin this one for later. Adorable!! I have to try making these, I love to crochet! Would you consider sharing this and any other projects that you may have over at my Pinterest party? I love the sea pennies. These bracelets are adorable!! Perfect for spring!! Really cute and not difficult to make~! Such a sweet little bracelet! Looks darling! I tried my own version and yours is still sooooo much cuter, lol! Love the color! So cool!